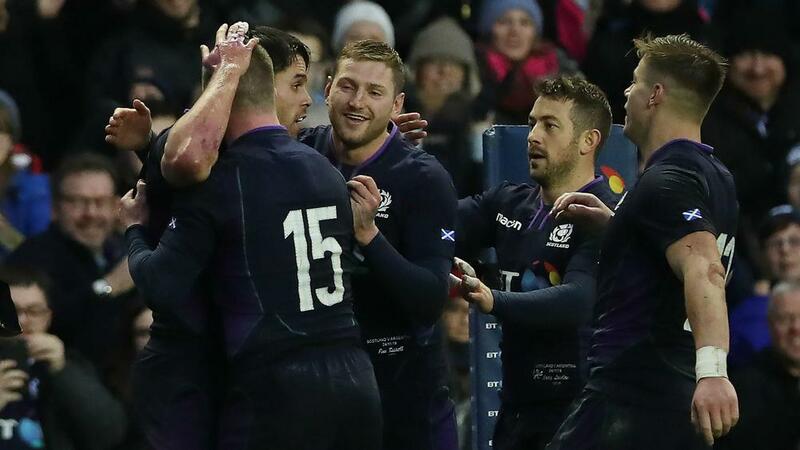 Scotland may not have been at their free-flowing best, but Gregor Townsend's side finished 2018 on a high note with a 14-9 victory over Argentina on Saturday. Three penalties from captain Greig Laidlaw and a superb try from Sean Maitland proved enough to secure a third successive home win for Scotland over Argentina. While Laidlaw was accurate from the tee, Argentina rued a number of wasted opportunities to add to their total – Nicolas Sanchez, three times, and Emiliano Boffelli both unable to convert. Those 12 points would have secured a third away win in 15 matches for the Pumas, but instead they head into 2019 having lost all three matches in Europe this month. The opening half did little to lift the subdued atmosphere inside Murrayfield, play getting bogged down in midfield as both sides relied on their kicking game in wet conditions. Laidlaw put Scotland in front inside four minutes after Santiago Medrano had been caught offside, but Sanchez and Boffelli both missed chances to bring the Pumas level from the tee. Just before the half hour Sanchez found his range as Argentina enjoyed some possession in the Scotland half, but parity did not last long as Laidlaw restored the hosts' lead from close range. Sanchez did level the scores just after the restart, but was again off-target when presented with a chance to put his side ahead. That proved costly as Scotland responded with a superb break from fly-half Adam Hastings that finally gave the fans something to get excited about. Hastings' break was held up but in the following phases Agustin Creevy was punished for a high tackle on Huw Jones, allowing Laidlaw to split the posts. Just after the hour Maitland ran in the game's only try, the winger profiting after Laidlaw and Stuart Hogg had spotted an opportunity down the blindside. Laidlaw's conversion attempt dropped just short and, after Sanchez had missed another penalty, Argentina were able to reduce their deficit. Sanchez's third penalty left the Pumas needing a converted try to claim the win, but handling errors denied them that chance as Scotland clung on to a slender victory.